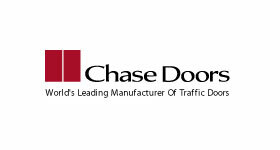 Chase Doors is the world's oldest, largest, and most progressive manufacturer of impact traffic doors. 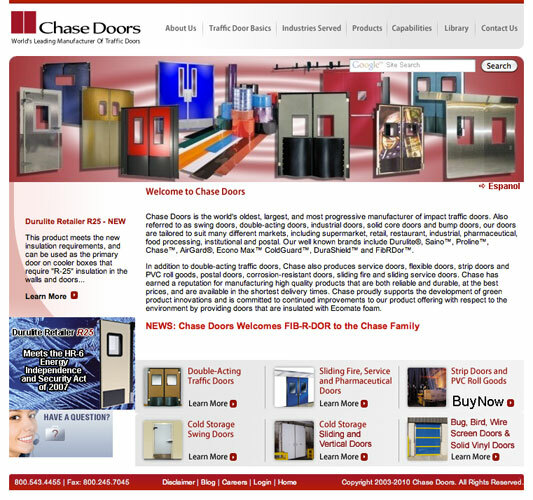 Also referred to as swing doors, double-acting doors, industrial doors, solid core doors and bump doors, our doors are tailored to suit many different markets, including supermarket, retail, restaurant, industrial, pharmaceutical, food processing, institutional and postal. 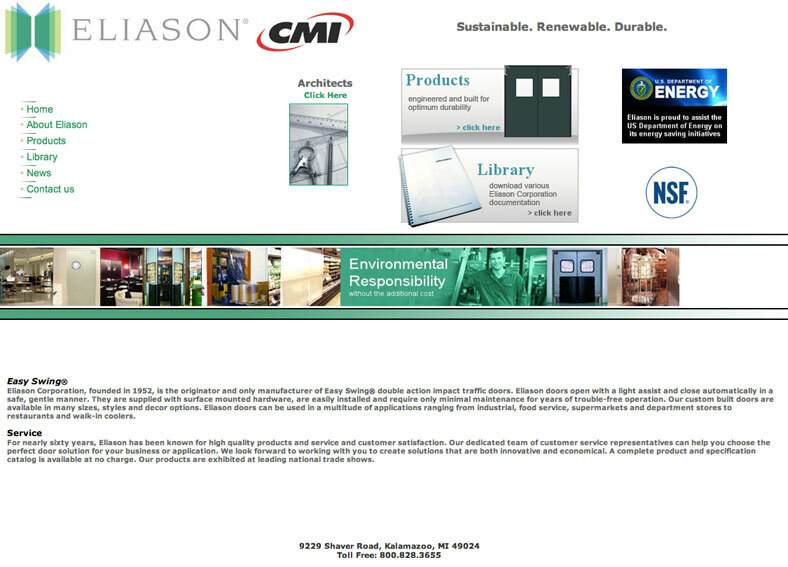 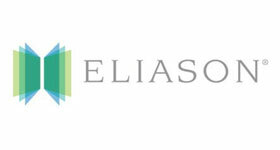 Our well known brands include Durulite®, Saino™, Proline™, Chase™, AirGard®, Econo Max™ ColdGuard™, DuraShield™ and FibRDor™.